Ecotech Marine There are 7 products. Performance and Reliability The Vectra S1, M1 and Vectra L1 DC centrifugal pumps are built around performance and reliability. Coupling a class leading DC centrifugal pump with EcoTech's proprietary driver technology - delivers for return pump and closed loop applications in a big way. Performance and Reliability The Vectra M1 and Vectra L1 DC centrifugal pumps are built around performance and reliability. Coupling a class leading DC centrifugal pump with EcoTech's proprietary driver technology - delivers for return pump and closed loop applications in a big way. Performance and Reliability The Vectra M1 and Vectra L1 DC centrifugal pumps are built around performance and reliability. 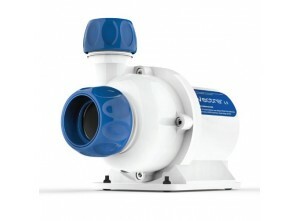 Coupling a class leading DC centrifugal pump with EcoTech\'s proprietary driver technology - delivers for return pump and closed loop applications in a big way. 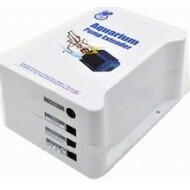 Backup battery for your water pump, so you'll never have mortality in your aquarium because of electrical failurebattery life up to 48 hours depending on pump usedThe CoralBox Battery Back up works perfectly with the Maxspect Gyre pumps and most other 12-24 v DC water pump such as an Ecotech, Aquamedic or Tunze. 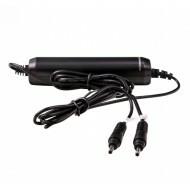 It includes multiple plug adapters to make connection with various other pumps easy. 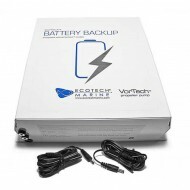 This product is for any serious aquarium hobbyist that owns or plans to own an EcoTech Marine VorTech pump. In 4 - 10 hours of no flow, an aquarium with all its fish and corals begins to die. Durable mount for VorTech pump driver allows you to securely mount your pump driver to a wall or inside your tank stand. 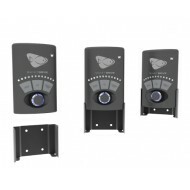 Includes metal driver mount and hardware. QD Driver sold separately.